Explanation: Why is there a bright line on the sky? What is pictured above is actually a disk galaxy being seen almost perfectly edge on. 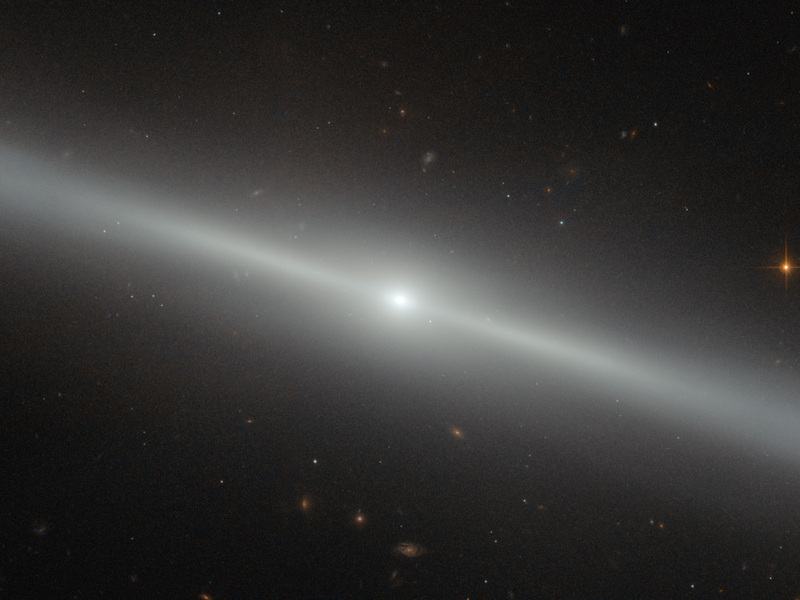 The image from the Hubble Space Telescope is a spectacular visual reminder of just how thin disk galaxies can be. NGC 4762, a galaxy in the nearby Virgo Cluster of Galaxies, is so thin that it is actually difficult to determine what type of disk galaxy it is. 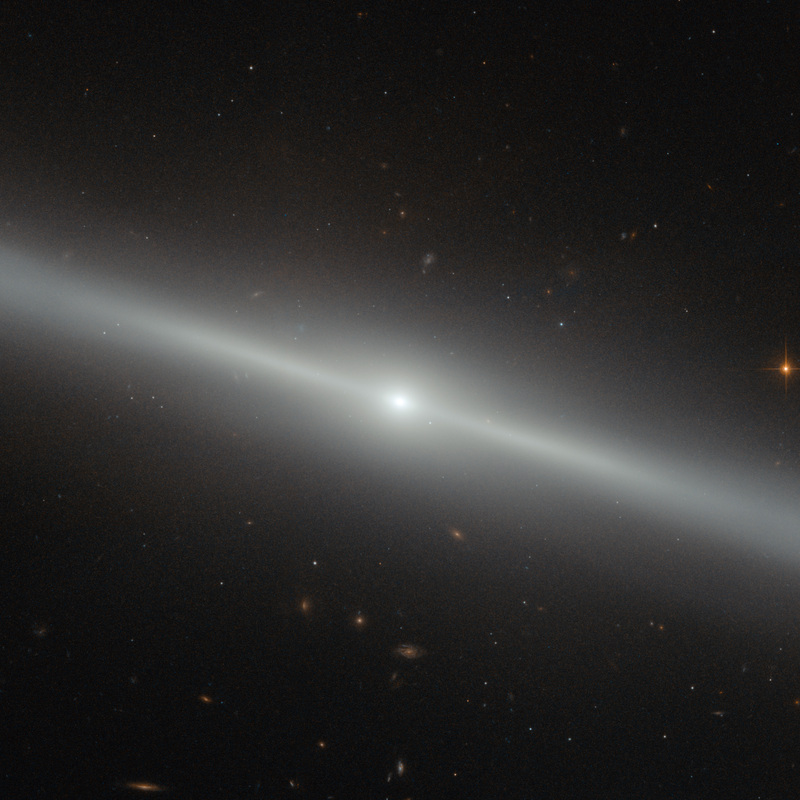 Its lack of a visible dust lane indicates that it is a low-dust lenticular galaxy, although it is still possible that a view from on top would reveal spiral structure. The unusual stellar line spans about 100,000 light years from end to end. Near NGC 4762's centre is a slight bulge of stars, while many background galaxies are visible far in the distance. Galaxies that appear this thin are rare mostly because our Earth must reside (nearly) in the extrapolated planes of their thin galactic disks. Galaxies that actually are this thin are relatively common -- for example our own Milky Way Galaxy is thought to be about this thin.